How do I get Blender to render a vector displacement map from Zbrush properly? 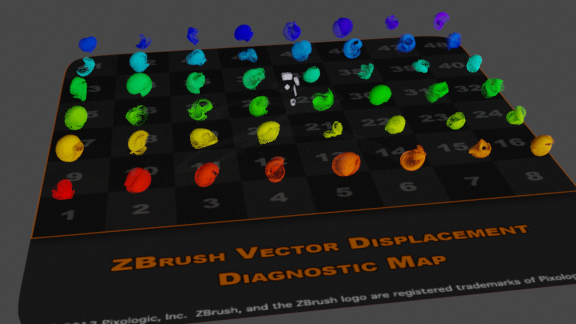 I have rendered the diagnostic scene from Zbrush, but none of them are accurate enough to be useful. I am running Blender version 2.80 build from 7th feb, 2019. Browse other questions tagged blender-render displacement vector zbrush or ask your own question. Removing polygon grid from displacement map?